- name of person you are placing on the candle. For the person who has everything! 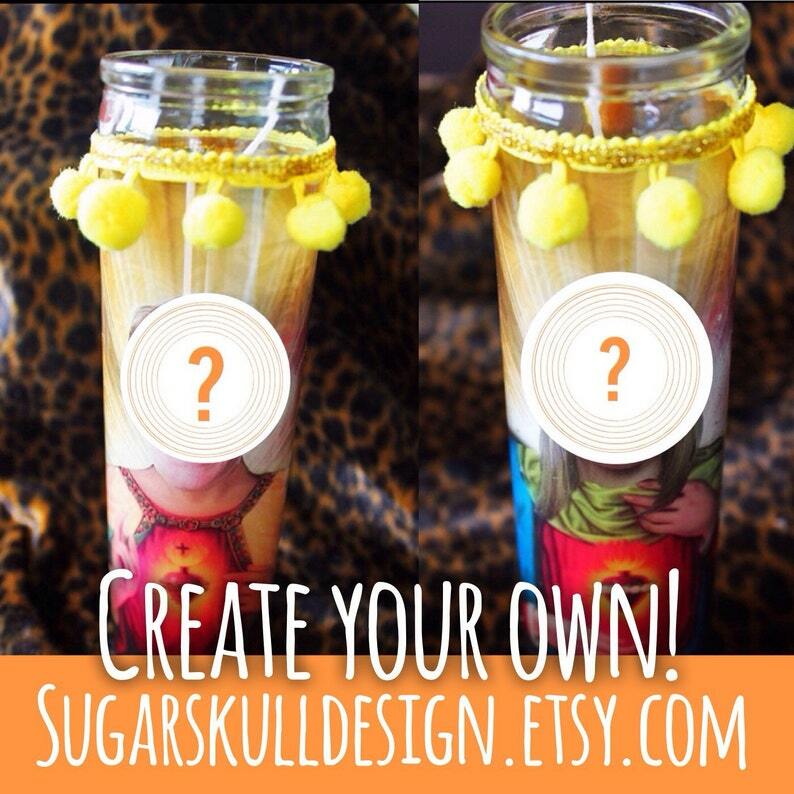 Kitschy Kandles by Sugar Skull Design make fabulous gifts for light hearted people. Don't take this too seriously, our goal is to make people laugh rather than offend anyone! Prayer candles measure 8" tall and come with the top sealed to prevent melting. Please note that these candles do ship from Arizona, so the risk of melting is high, but we package each and every one carefully to avoid any mishaps. Please note that returns are accepted for broken candles (ie the glass) but not for melted candles. This candle is intended for decorative use only. The candle will light, but we advise not to do to the pom poms at the top of the candle that could be a fire hazard. Just like any other candle, please do not leave unattended. Got this as a thank you gift for a friend and she LOVED it! Quick turnaround and excellent customer service. Got a custom candle and it looks amazing! USPS stopped updating tracking and it was a few days late, reached out to Gabriela and she was quick to follow up and help as much as possible. All around great experience! Oh my gosh, this was the GREATEST gift I’ve ever bought. The package arrived in a timely manner and it was a joy to work with Gabriela! I’d definitely purchase from her again.